To give hope and satisfaction to those who are suffering from incurable diseases and want to have beauty, The Line Plastic Surgery established a Cell Therapy Center. The Korean Cell Therapy Center provides medicine, first developed in the world and approved by KFDA, and endeavors to challenge the area of incurable diseases and to get better results in various aspects such as research, clinical trials, and treatments in real patients. This center works on regenerative medicine and conducts high-end anti-aging treatments based on world-class research on cell therapies. Especially, focusing on the treatment inside and outside the body, the center offers state-of-the-art medicines and treatments in the field of maintaining beauty and health. 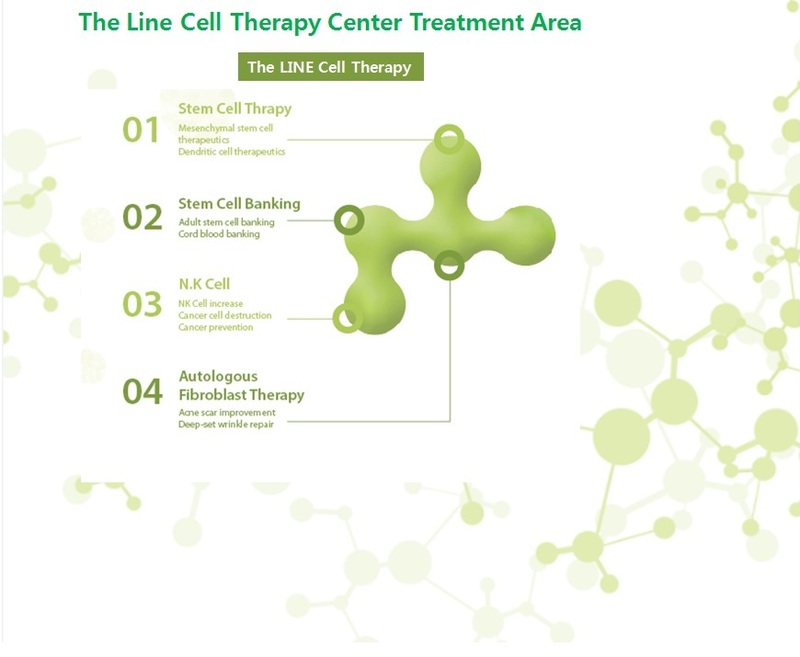 The Line Plastic Surgery’s Cellular Therapy Laboratory has facilities approved by KFDA (Korea Food and Drug Administration) for production and quality control of top south Korean stem cell treatment medicine. The Line’s all cell therapy south Korea products are manufactured and produced at GMP manufacturing facilities under strict management systems, where pharmaceutical safety and efficacy are guaranteed in the aspect of quality control by WHO. We promise to do our best for our customers’ happiness and health. The Line Plastic Surgery Clinic 4th Floor, Dongnam Building, 24, Apgujeong-ro 12-gil, Gangnam-gu, Seoul.